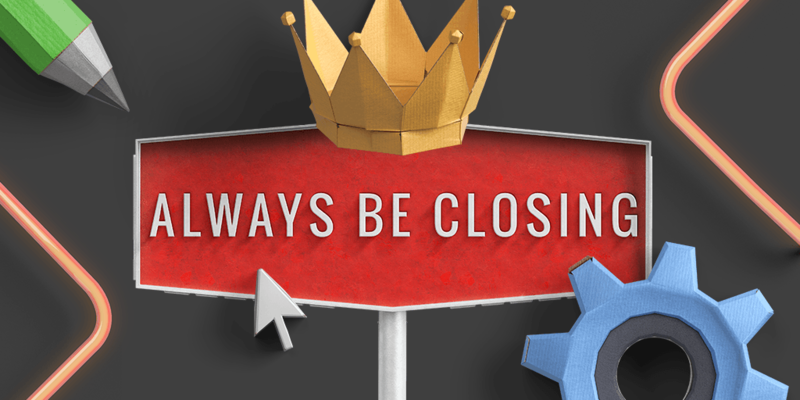 In sales, what does ABC ‘Always Be Closing’ mean? 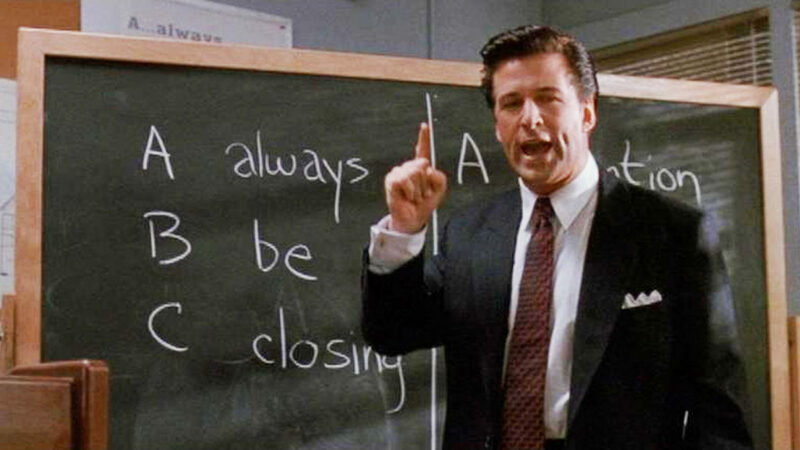 The old ABC approach ala ‘Glengarry Glen Ross’, would have you believe the only way to be truly successful in sales, is to have an iron fist approach. With sheer brute force, you could ensure the prospect would buy, regardless of whether they needed what you’re selling or not. As the salesperson, you were the most important element to the exchange, naturally. Then, once the sale was complete, it was onwards and upwards to the next unsuspecting victim. That old 1950’s approach simply doesn’t cut it, with today’s hyper-informed, media-driven consumers. With the transparency and availability of information online, buyers are far savvier than they used to be. Today’s “ABC” is defined as “always be communicating”. Because let’s face it, it’s far easier to keep existing clients than spend considerable amount of time and effort on looking for new ones. With these few tips you’ll be able to increase your revenue without increasing your client base. Working bad leads is a waste of your time and that of your reluctant lead. Get picky with your sales leads and only engage with prospects with a high potential to convert. Modern marketing calls this ‘lead scoring’. Data is taken from a number of different sources and prospects are scored based on what they do on your website. Start simple, by building a basic identity (persona) of what a customer looks like and identify prospects who look like that. Your buyer persona is your sales spec, if they don’t fit the bill, move on. The one-size fits all sales approach is extremely transparent and is generally, not very well received by the modern buyer. Consultative sales concentrates on client’s needs more than on salesperson’s benefits. Modern salespeople take a consultative approach – identifying their prospect’s pain points first and tailoring their sales approach accordingly. Identify where a prospect is in the funnel. Too green? Pass back to marketing for further onboarding. Not interested? Move on. The pushy approach just doesn’t cut it anymore, the likelihood of making a sale increases with a tailored sales approach. Try adapting your language, instead of starting your sentences with ‘I, our or we,’ try ‘you, your team’. Engage your prospect with regular questions about their sales process. Talk to your contacts, deals just don’t happen overnight, they’re preceded by a number of activities of which a key element is building a relationship with the client. Being aware of their needs enables you to act quickly. Remember, your quarterly deadlines are not their deadlines so be upfront, ask what their timeline looks like and encourage them to stick to it. As your relationship with a client grows, so does the likelihood that they will remain a customer. Encourage your happy customers to refer you to their networks, you’ll be surprised by how many will do so willingly, regardless of the incentive. They may not be ready for you today, but that doesn’t mean they won’t need a service like yours in the future. Always keep the lines of communication open with present and past customer by inviting them to sign up to your newsletter. It could be a well-written article or feature update that passively triggers their interest in the future. If you do not have a marketing team to do this, some salespeople have a bank of ‘tickle emails’ that they send out to their contacts on a regular basis. We’ve added our highest converting tickle email templates as a bonus download at the end of this post! Remember, it’s far easier to retain the customer then look for a new one. In fact, they say a prospect needs on average, 14 touches before a sale is made. Ensure your customers continue to buy with an after-sale follow up. Too many salespeople never get this part right and move on after the sale is done. By servicing existing clients you are working towards future sales and repeat business, even if it will take some time to get a sale again. Set yourself a reminder to re-engage with a customer, in 6-12 months, or whatever the length of your buying cycle. Most customers will appreciate the interest and will be only too happy to engage. With OnePageCRM, you’re prompted to set a Next Action on completing sales tasks, so you never drop the ball on a potential sale. Which type of salesperson are you? The old school Alec or a modern day communicative closer? Let us know in the comments below or tweet us @OnePageCRM. As CEO of OnePageCRM, Michael is passionate about Getting Things Done! A champion of startups, Michael's goal is to help SMEs be more efficient and effective in business. Get in touch by pinging him on Twitter or connecting on LinkedIn.